SAN JUAN, Puerto Rico: Puerto Rico delegate seeks vote for statehood – Americas Wires – MiamiHerald.com | It's my life, you're just along for the ride! SAN JUAN, Puerto Rico — Puerto Ricos representative in Congress is seeking an unprecedented yes-or-no vote on whether the island should become the 51st state, a bill that is riling many in the U.S. territory.The bill that Pedro Pierluisi filed Wednesday calls for a federally approved ratification vote in which Puerto Ricans would be asked if they want their island to become a state. If the majority agrees, the bill calls for the president to submit legislation to Congress within 180 days.Pierluisis bill comes a month after the White House announced it would seek $2.5 million from Congress to fund a vote on the islands future political status.There has been no agreement on the meaning of the results of a nonbinding referendum in November. via SAN JUAN, Puerto Rico: Puerto Rico delegate seeks vote for statehood – Americas Wires – MiamiHerald.com. This entry was posted in Breaking News, Interesting, Know your Rights, Politics. Bookmark the permalink. 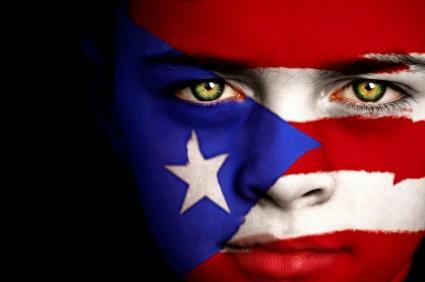 PUERTO RICOOOOOOOOOOOOOOOOOOOOOOOOO FOR STATEHOOD 2013!